GOD’S CALL TO CARE FOR THE ORPHAN IS FOR ALL OF US. Becoming Home is for anyone who has wrestled with how to address the orphan crisis. Caring for orphans makes grace touchable. When Christians choose to adopt, foster, mentor, or support care for orphans around the globe, it reveals God’s true character to the world like nothing else we can do. Becoming Home unpacks specific steps everyone can take to care for orphans in distress. Some of these steps are ‘big’ choices like fostering or adopting; some are simpler choices like supporting work abroad or mentoring a foster youth. But all are ways we can practically show love to orphans—not because of a sense of duty, guilt, or even idealism, but because we’ve first been loved by God. 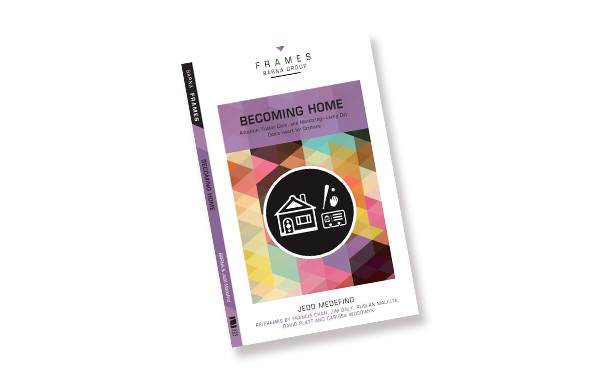 Becoming Home is part of the FRAMES series – short yet meaningful reads on the top issues facing us in today’s complex culture.